In this interview, Oncology Central spoke with Mario Suva (Massachusetts General Hospital) to find out a little more about his work looking into the biology of brain tumors and recent work his lab has carried out in oligodendroglioma; a study that represents the largest effort ever undertaken to characterize brain tumors at the single-cell level. Could you please introduce yourself and tell us a little about your career to date? How did you become involved in researching the biology of brain tumors? I am a clinical neuropathologist and a basic researcher in neurooncology. I grew up and trained in Switzerland, mostly in the area of Lausanne. My interest in brain tumors comes from my clinical training. It is after realizing the dismal prognosis of most patients with parenchymal brain tumors that I decided to dedicate my career to research into gliomas. I was attracted by the reputation of the science in Boston (MA, USA) and was fortunate to get a fellowship/postdoctoral position with David Louis and Brad Bernstein at Massachusetts General Hospital. After fundamental work on the epigenetic of brain tumors during my post-doc, I started my own lab at Massachusetts General Hospital in 2014. My lab is entirely dedicated to studying brain tumors both in adults and children. What are oligodenrogliomas? What are the current treatment options and associated outcomes for patients with the disease? Oligodendrogliomas are slow-growing brain tumors that primarily affect young adults. They are driven by mutations in the IDH1/2 genes and by loss of chromosome arms 1p and 19q. Current standard of care is radiation and chemotherapy, and the outcome varies but is the most favorable of diffuse gliomas (10–15 years). Your recent study investigated the role of cancer stem cells in oligodendrogliomas – could you summarize the key results/conclusions from the study? Our study represents the largest effort ever undertaken to characterize brain tumors at the single-cell level, directly in patient samples . It is the first study deploying these techniques in low-grade gliomas – tumors that have proven very difficult to dissect due to the scarcity of animal and cellular models. While we have a good understanding of the genetics of low-grade gliomas, we have a limited knowledge of the cell types and programs driving their growth. Our goal was to obtain a completely unbiased view of these tumors in patients and dissect both genetic events and nongenetic determinants of tumor heterogeneity. Studying human tumors at single-cell resolution with RNA sequencing provided us with an incredible depth of information that cannot be done with ‘bulk’ sequencing approaches or with functional assays that have intrinsic limitations and are not available for this tumor type. 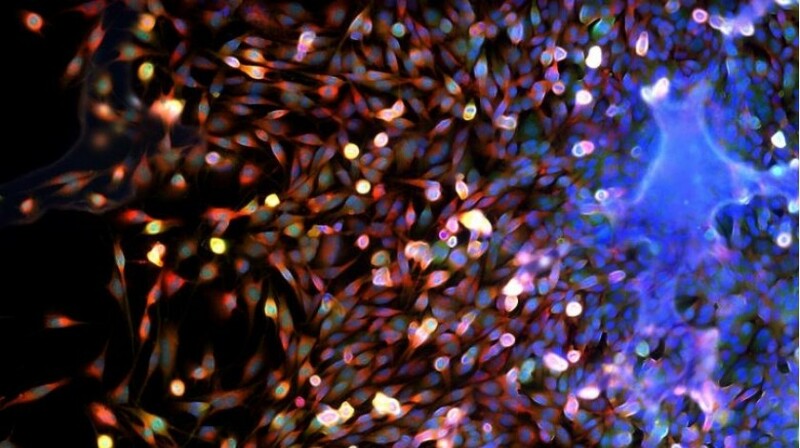 Our study is the first that (i) identifies cancer stem cell and their differentiated progeny in a human tumor in a completely unbiased way, based on a genome-wide expression signature in situ; (ii) relates developmental programs to genetic evolution, demonstrating that a similar hierarchy is identifiable in distinct genetic clones; (iii) shows that neural stem cells are the main source of proliferating cells in gliomas in patients, early in their pathogenesis. This work also highlights the power of strong collaborations to tackle important questions; this work was done by clinicians and cancer biologists working hand in hand with computer scientists and technologists, primarily the group of Aviv Regev at the Broad Institute (both MA, USA). Could you comment on the next steps for this research and the possible implications of this work on the field? Translating these observations into improving patient care is critical but not obvious. We are pursuing many different directions – one of them is to design immunotherapies to target these stem cells, while avoiding targeting normal neural stem cells. Another approach is to leverage our expertise in single-cell analyses to better understand what is happening to tumors that are currently being treated either with standard of care or in clinical trials. We think our analyses can dramatically increase the understanding of tumor response to treatment and help design novel approaches. Is there evidence for cancer stem cells playing a role in the progression of other malignancies? A large body of literature supports the key role of developmental programs in cancer cell properties. The best established examples are in leukemias. Among solid cancer, brain tumors have good experimental support in favor of a key role of neural development pathways in their pathogenesis and structure. However, most of the literature is in glioblastoma, a very aggressive and advanced form of brain cancer. This is because we know well how to grow glioblastoma and can do a lot of functional assays with glioblastoma cells in mice. Despite the abundant evidence, there still is quite a lot of controversy, as human cancer stem cells are typically demonstrated by their capacity to initiate tumors in mice; while the assay is very valuable, it has a lot of limitations that are difficult to overcome, such as the fact that mice are a different species, and in these assays are typically immunocompromised; also when these assays are done, scientists generally have limited genetic information on the fractions of cells they compare. Despite these caveats, there is good evidence for stem cell programs in glioblastoma. Yet, because we do not know how to successfully grow low-grade gliomas in vitro or in mice, we have very limited understanding of how this literature on glioblastoma applies to less aggressive brain tumors. As such our study in oligodendroglioma, a slow growing and less-aggressive form of brain tumor, is the first one to highlight a cancer stem cell model in these tumors. Very importantly, our analysis relies on single-cell RNA sequencing in patients and as such reconstructs programs on a genome-wide scale and does not rely on any given specific functional assay. I think that a lot of the existing literature on cancer stem cells needs to be re-explored with single-cell genomic approaches to better understand the programs that are involved. Tirosh I, Venteicher AS, Hebert C et al. Single-cell RNA-seq supports a developmental hierarchy in human oligodendroglioma. Nature. 539(7628), 309–313 (2016).